No matter where in America your students call home, part of Pennsylvania is theirs forever... our nation's heritage. From Independence Hall in Philadelphia, to the battlefield at Gettysburg. From the Horseshoe Curve near Altoona, to the Underground Railroad on the north side of the Mason-Dixon line. From the coal miners' village of Eckely, to the recreated cities of Pittsburgh and Bethlehem. In all of these places and many more, this country's heritage is preserved, revealed, recreated and waiting for students of history to discover. Plan a school trip to Pennsylvania to explore charming towns, Amish villages, Victorian manors, ornate theaters, historic architecture and world-renowned museums. A dash of heritage with a pinch of flair. Many people are drawn to Lancaster County for the Amish community, but soon discover and enjoy the many things to see and do when visiting Pennsylvania Dutch Country. With so many great activities, Hersheypark is a popular attraction. Students can ride thrilling roller coasters, enjoy entertainment shows and explore ZooAmerica. Hershey's Chocolate World is right next door, with shops, restaurants and a chocolate tour ride. Gettysburg and Adams County offer year-round opportunities to explore history while having fun. Plan a trip and spark students' passion for learning about the Civil War. 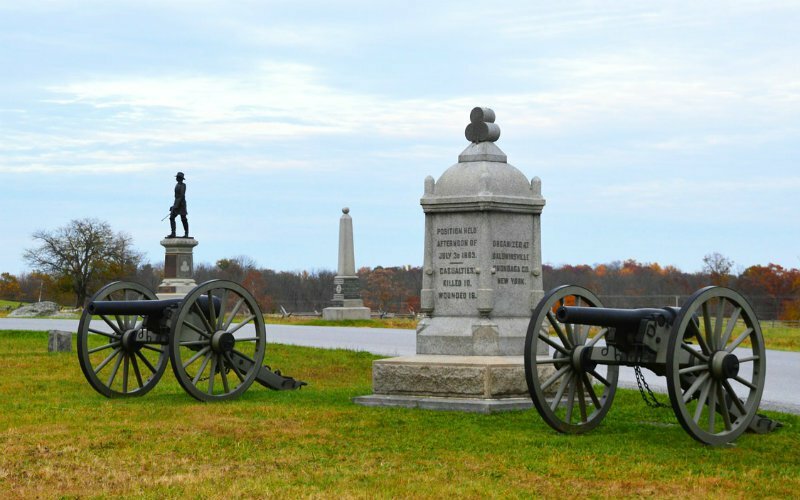 Tour the Gettysburg National Military Park on horseback or Segway. Experience the restored Cyclorama Painting. Walk in the steps of President Abraham Lincoln. And there is so much more.